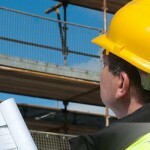 The construction safety certification scheme was introduced to help improve safety standards on building sites. CSCS certificate mainly aim to ensure that at least the minimum level of safety and health precautions is maintained in the construction sites. The application forms for this certification examination can be downloaded from the various online resources. The material you would require for passing this test is available both in the stores as well as on the internet. 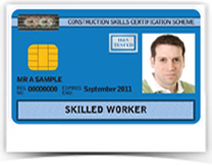 There are various different kinds of CSCS cards. There are red cards for the recent entrants in the industry, green cards for the basic skilled site workers, blue cscs card for NVQ or SVQ qualified workers, and further gold card, black card, white/yellow card, white/grey card depending on the skill level and the basic qualification of the site workers. This card not only provides you the optimum CSCS certificate so as to ensure that you follow the basic health and security measures, it also ensures that you have a better job prospect in the construction industry, so getting this certification is always a win-win thing.